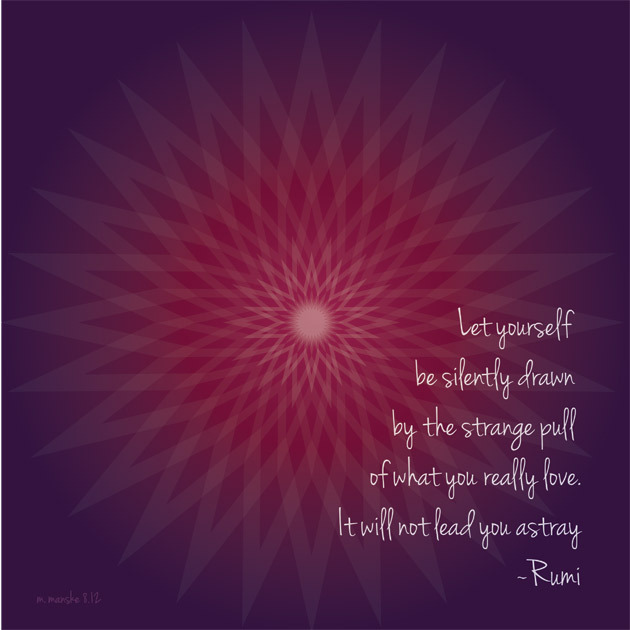 A friend posted this Rumi quote on Facebook a week(ish) ago, and I fell in love with it. She commented that she would like to see my take on the quote using my own art…so here it is. Love this design! We borrowed it for our facebook page!